Being a good housekeeper is all about habits. Everyone want their house to be clean, smelling fresh, inviting to guests and family at all times. We don’t want to be ashamed of of the way we keep our house, or rather don’t keep (at least not the way we wish we would). But, then again, it’s all about habits. And step by step, one day after another, you can learn and teach yourself to maintain a healthy housekeeping lifestyle – one that does not demand your full time and effort, but a natural part of life, easy and routine. Clutter will find it’s way in the jungle of your home life. Your mission would be to find a system, a reliable routine you can trust to keep clutter from accumulating, and in the same time reduces the need for cleaning and post clutter operations. It is also called the one touch rule. For example, find a designated place for dirty cloths, or toss the junk mail straight to the garbage. When you receive junk mail and just keep it laying around, you will have to deal with it twice instead of just once. Multiply that by everything you let laying around, and imagine how much time and effort you will save by having a system – and sticking to it. Keys can go into a bowl in the entrance of the house, newspapers stacked in a pile on the coffee table and the dog’s food in the corner of the washing machine room. Wherever, whatever, just keep a fixed place for your stuff – and keep it going. Creatures of habits, you and your family will get used to it and it will become easier and way less of a hassle just to put everything in it’s right place. Again, putting things randomly and then picking them up, doubles the work. You should have a cleaning routine all around the house, but really keep close attention to the kitchen. One reason is that part for the bathroom – and maybe even more so – it’s a possible dirt and germs breeding area, and health wise it should really be kept clean and organized . Other than that, The kitchen gets dirty, visibly dirty, very easily. The rest of the house can be kept in good shape for a few days without special attention, but your kitchen can’t. It needs a system and a watchful eye, as it is also one the most visited and used rooms of the house. Take couple of minutes in the end of each day to take a look and see if there’s any mess left. To some extent, this is true to the living room also, as it is the “centerpiece” room of the house. Have a solid routine for these two heavy traffic rooms, and your life will become much cleaner and healthier. Habits, as we said, are acquired, and not something that falls on us from the sky. So in each day onto itself, it’s a good idea to start the day off with a sign of cleanliness and order. By making the bed first thing in the morning, you set the tone for the rest of the day and signify to yourself that keeping things in order is natural and part of everyday life. 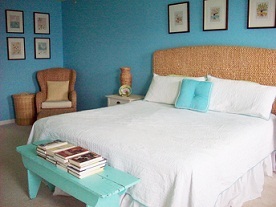 Plus, you will have the pleasure of walking into a tidy bedroom at the end of the day, which is great onto itself. We get used to our house and forget it is actually our home. We can shape it, design it, set its tone and mood. It is up to us, even when we are caught up in “life” to remember that and think about how we want our home to feel and look. Try to imagine how it would be perfect for you, feel it, love it – and then form a plan suitable for your needs and time you have to spend on it. Housekeeping should be goal oriented, not just a hassle or something you do because you have to. In the end, it’s all about what suits your needs and wants. About how your want to shape your housekeeping habits and lifestyle in the home you maintain. Indoor air pollution is a big issue in most homes, and dirty air vents are a major cause of allergy symptoms. 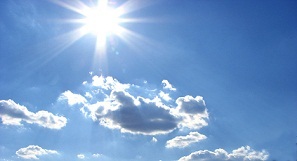 All winter long dust and dirt collect in the home, contributing to allergy symptoms. Cleaning your air conditioning vents will not only extend the life of air conditioning units, but it will also make the air in your home more breathable and help prevent allergies. To get started cleaning your air conditioning vents, take a regular broom and use it to brush dirt away from air vents in the ceiling and on the floor. You’ll be shocked at how much dust collects on the outside of the vents. Next, remove the vent covers and vacuum inside the air ducts. This will remove the built up dirt and dust and keep it from being recirculated into the home. Make sure to change the filters in all your vents at least once a year. Blocked filters prevent air conditioners and furnaces from working properly, wasting energy and increasing indoor air pollution. If you can’t remember the last time you cleaned the air vents in your home, consider hiring a professional cleaning service that cleans air vents and ducts. Professionals have high powered vacuums and brushes that can quickly clean out even the dirtiest vent. Keep your air vents clean and help your whole family breath easy. Bed bugs are extremely tiny pests that make a large mess inside of a home or building. If you live in, or are traveling to, an area that is affected by bed bugs it’s important to take certain measures to prevent bringing bed bugs into your home. Taking a few small steps in bed bug prevention is much easier than getting rid of the bugs once they have moved in. Finding furniture on the street used to be a great idea, however you may be bringing more than a sofa into your home. Bed bugs are not easily detected, so you have no way of knowing what you’re bringing home. When purchasing used furniture take the time to deeply inspect all cracks and crevices for any signs of bed bugs. Using a magnifying class and a flashlight, look for blood spots, bug feces, or the bugs themselves deep in cracks and crevices of furniture. Sometimes bed bugs wander into a home from a nearby apartment through small cracks in the walls, baseboards and other similar fixtures. To avoid this you can seal cracks and crevices in your home with caulk. When traveling in areas well known for bed bugs be especially careful with your luggage, as bed bugs can hide in the seams and hitchhike home with you. Do not place suitcases on the bed or floor until you’ve inspected the mattresses for signs of bed bugs (tiny blood smears). Make sure to check the seams of your suitcase for hitchhikers before you leave. If you think your clothing was exposed to bed bugs, wash and dry them in very hot temperatures to kill the bugs. Keep all clothing in a sealed, plastic bag until you can wash them in order to trap the bugs. Identifying and getting rid of bed bugs is very difficult, which is why proper bed bug prevention is so important. Avoid expensive exterminations and sleepless nights by keeping bed bugs out of your home. When it’s time to clean the microwave you might be tempted just to toss the whole thing in the garbage, or have it labeled as a toxic waste site. Tackling a messy microwave seems like a job that takes an entire day, but with the right technique cleaning your microwave is quick and painless. All you need to get started is distilled, white vinegar, water and a microwavable bowl. Fill the bowl with water and add ¼ cup vinegar. Now pop the bowl in the microwave and microwave it on high for five minutes. Remove the bowl from the microwave very carefully and begin cleaning right away. The steam from the bowl of water loosens and softens stuck on food inside of the microwave, making it easier to clean. Dip a sponge into the warm water from the bowl and you have a great cleaning solution already made! If the first round of cleaning still leaves your microwave with stuck on gunk, just repeat the process again. For super dirty microwaves, heat the water for five minutes and then wait a few minutes before opening the door. This allows the steam to keep working away at the stuck on dirt. 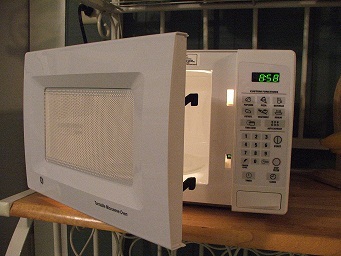 Don’t stress when you open the door to your microwave, with this little trick you can clean your microwave in minutes. Are you planning the perfect Valentines Day for your special someone? A special dinner can quickly turn into a disaster with spills and stains. Know how to treat the most common Valentines Day stains, and make sure your night stays magical. 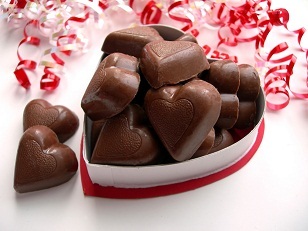 Chocolate: To remove chocolate from fabric, simply run under cold water and pretreat. Removing chocolate from furniture or carpeting requires nothing more than an ice cube. Hold the ice over the chocolate until it’s solid, and gently scrape with the edge of a spoon. When nearly all the chocolate is gone blot gently with cold water. Candle Wax: Wax spills are much easier to clean up than most people think. When the wax is solid, simply pick off the large clumps and scrape away what you can with a plastic knife. Next you’ll need an iron and a clean, white cloth. Place the cloth over the wax and iron. Continue moving the cloth around, careful to only iron clean cloth and avoid spreading the wax. Soon the wax will be as good as gone. Red Wine: Wine stains are pretty scary, but don’t fear. Sprinkle salt on the spill to soak up excess wine, and then rinse well with white wine or club soda, then cold water. If you have a stain treater handy go ahead and pretreat the stain as well. No matter what kind of spills happen during your romantic evening, the best way to treat any disaster is to stay calm. A ruined dress doesn’t have to mean a ruined night.